Season 2 of Love Mae in the UK is going rectangle! Be it breakfast, lunch or dinner, these 5 piece bamboo sets are a must have on your table or to give as a gift so everyday someone you love has a treat to enjoy! 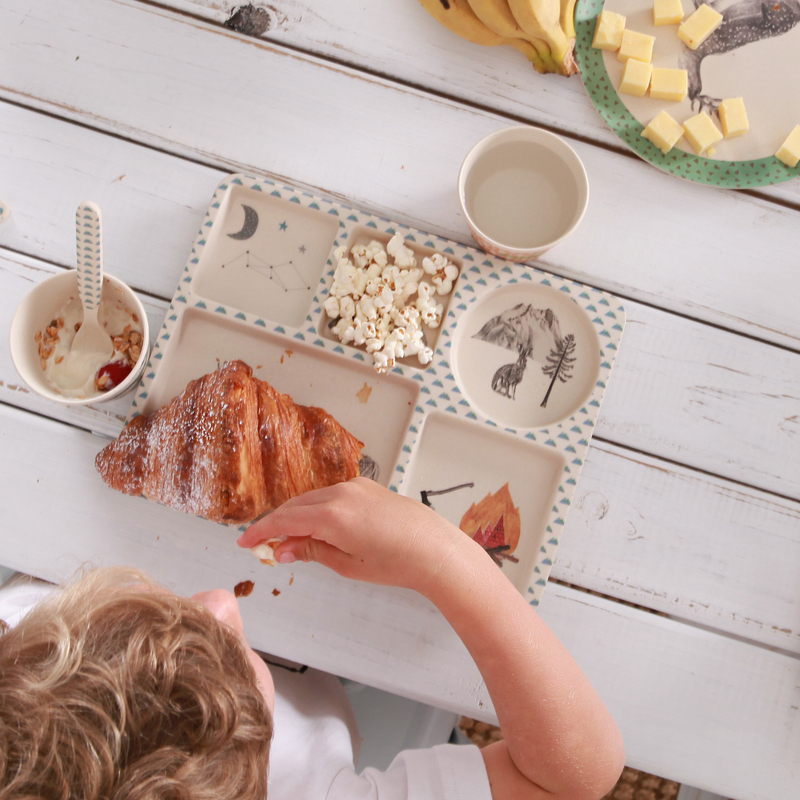 So with a super new shape for the Tray and Beaker the 2016 favourite designs have a new look for next season to please young discerning eaters! 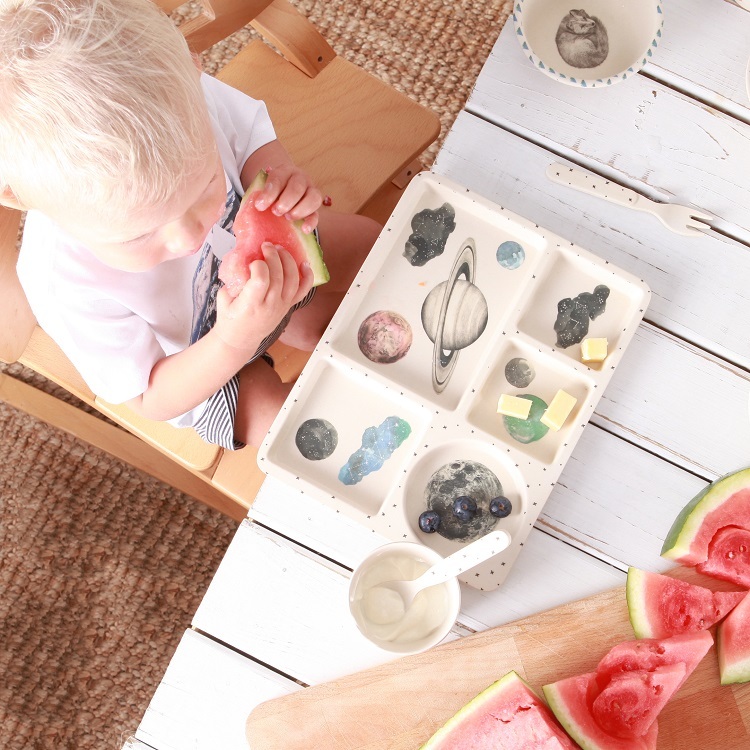 Biodegradable, Toxic-Free, Stain Proof and Dishwasher Safe made from a bi-product of the bamboo industry they encourage parents to purchase cool, desirable planet friendly and sustainable products. They have just arrived at S-c Brands HQ! We can’t wait to share them in time for Christmas!! Bamboo is a wonderful alternative to melamine crockery. The dinner sets are made from the bi-product of the bamboo industry, the left overs that no-one uses which is ground into a powder, mixed with a food-grade binding resin and then poured into a mould to set. No mining or harvesting of bamboo takes place, Love Mae are making use of what otherwise would be wasted. All Bamboo products are 100% biodegradable, so there is no chance of them ending up in landfill. S-c Brands are the exclusive UK Wholesale Distributor of Love Mae, we welcome interest from stockists who would interested in selling Love Mae products. 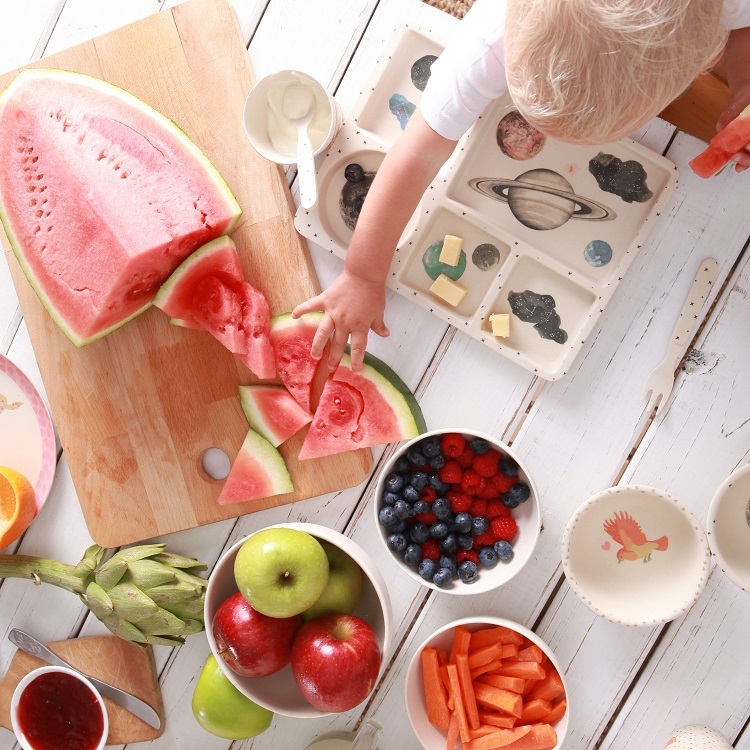 Love Mae, is an Australian brand distributed in the UK by giftware wholesaler S-c Brands. They design wall decals, wallpaper, wrapping paper and kid’s bamboo dinner sets for the young and the young at heart. Mostly made locally, all manufacturing decisions are made with the environment and how we treat our planet in mind. Love Mae prides itself on being found in some of the most beautiful shops around the world.